For a lot of people who have long been passionate about comics, Marvel and DC are almost inherently equal. The rival companies have delighted us with superhero sagas for decades, and both have had their hits and misses (though the hits have contributed enormously to our culture). Despite this deep-rooted equality however, there’s no question whatsoever which company has led the way in more modern entertainment. Marvel has become one of the biggest entertainment companies in the world, and has essentially taken over the movie business with its superhero adaptations. DC’s attempts in the same category have been up and down. And this isn’t just an imagined difference or a result of critical commentary so much as a provable box office reality. As of now, Marvel has four of the top 10 highest grossing films of all time; The Dark Knight, viewed by many as the best modern DC effort and not even a part of DC’s “Extended Universe,” is all the way down in the 30s. Now to some extent this is all skewed by the fact that movies cost more now, and 3D films in particular can boost the numbers. However, these are advantages recent DC films have shared without the same resulting success. But, improbable as it may sound to those who have been paying attention for the last decade, might DC actually be catching up? On the film front specifically, DC has actually had a very good run of both critical and box office success the last two years or so. As much hype as Marvel’s Black Panther got for its critical reception and nomination for Best Picture at the Oscars, it was actually Wonder Woman, a year before, that started the talk of superhero films earning major awards. Though it didn’t actually receive Oscar nominations in major categories, it was expected to, to the point that it was considered a snub. Meanwhile at the box office, there’s a similar imbalance between hype and reality. Even now there are excited articles on Captain Marvel’s robust opening and its potential to top $1 billion. 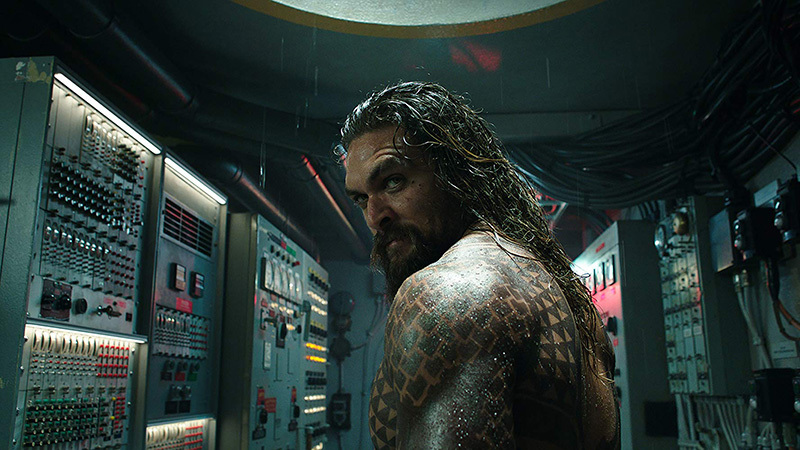 Last summer, DC’s Aquaman topped the same mark. If we expand beyond film, meanwhile, Marvel’s advantage more or less disappears. In gaming, in particular, DC’s modern efforts have been received better and have done more to set the tone for the category of superhero games. The Injustice and Batman: Arkham games were really the first major superhero titles to hit shelves during the current superhero film era, and both set high standards. DC and Marvel both got into the ever-expanding slot space on well, reaching millions through themed slot arcades. However, Marvel has given up on this whole genre, pulling its games despite sites in this genre becoming available in America. DC owns the category as far as direct competition is concerned. Things have been relatively even between the two in the mobile app space, and in the console realm, Marvel is only just beginning to put real effort into its games (though it should be acknowledged that the recently released Spider-Man on PS4 is pretty incredible). Last but not least, when we consider the future, DC may in fact have some advantages even in film. Marvel is ending the end of a decade-long phase that many expect will bring about the departure of some of the bona fide movie stars who have been at the core of the films. Robert Downey Jr. in particular will leave a gaping hole in the MCU if indeed he’s nearing his last film. The company could well be going forward with some of its lesser known heroes (Captain Marvel, Black Panther, Ant-Man) and leaving some of its true headliners (Captain America, Iron Man, etc.) behind. DC, meanwhile, is still getting its admittedly clumsy rollout of characters on track, and is building on successful debuts for Aquaman and Wonder Woman with more to come. It could well be that DC hits its cinematic stride just as Marvel confronts some awkward changes. To say DC will take over and dominate in modern entertainment, even with all of the above noted, is still too much. However, because of the same factors, it does seem fair to say Marvel may be losing ground.